We often review Tallahassee neighborhoods at our real estate blog in order to keep a finger on the pulse of the Tallahassee housing market. Today, we take a quick peak at Heartwood Hills, a popular community on the east side of Tallahassee, to see how unit sales are values are performing. Not surprisingly, home sales and home values look to be consistent with the performance of other neighborhoods in Tallahassee. 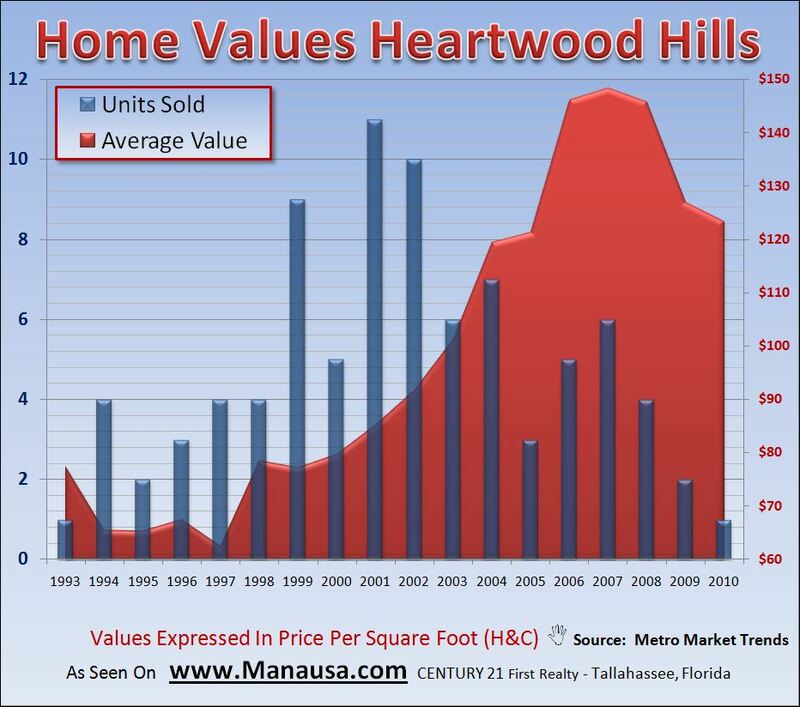 When we look at the real estate graph above, the blue vertical bars measure the total number of arms-length existing home sales recorded each year, while the red area measures the average price per square foot of those home sales in Heartwood Hills. 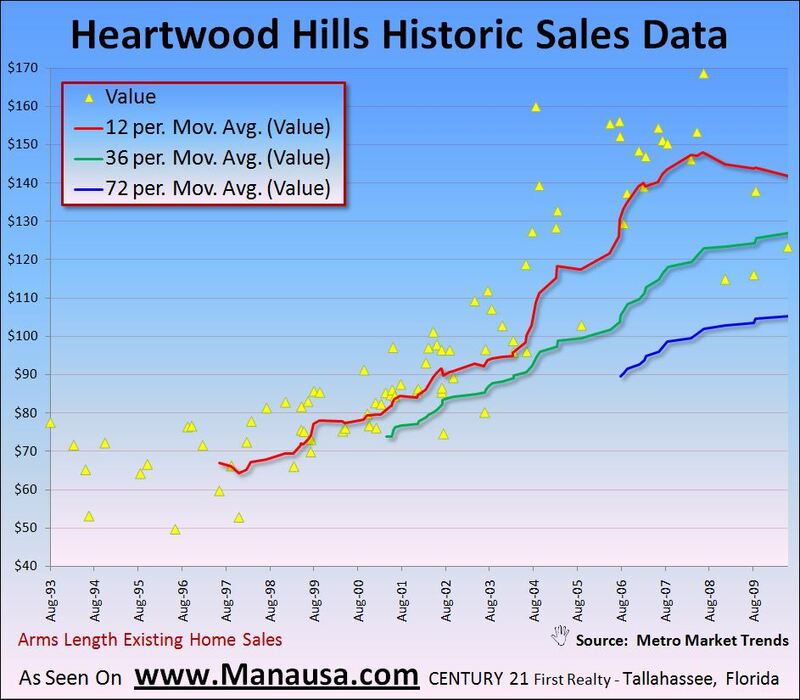 Just as we have been seeing across all neighborhoods in Tallahassee, home values are dropping in Heartwood Hills and sales activity is way down from the peak of the market. Looking at a more analytical view of home sales in Heartwood Hills, we see that recent home sales are way below the short, medium and long term trends. In the real estate graph below, the red line is the shortest trend, then the green and blue line respectively give longer term views. What we see is unit sales have slowed so much as home owners are choosing to stay rather than sell at the lower prices that the current market is demanding. I would expect to see this trend continue. Fewer sales, but at much lower values. While Heartwood Hills is a highly desirable place to live, there are just too many homes on the market that are pulling buyers away to better perceived values. The existing homes for sale in Heartwood Hills are priced anywhere from $108 to $149 per foot.